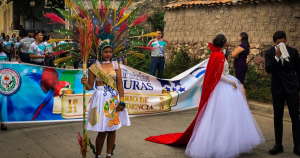 For several years, LCMS partner church, the Lutheran Church of Canada extended mission work and indigenous training into Honduras from its seminary in Nicaragua. Nicaraguan and Honduran nationals received training in Nicaragua and worked in Southern Honduras locations to do evangelization, church planting and mercy work. LCMS support was limited to financial support to the deployed missionaries from LCC. In May 2018, the LCC requested LCMS take over the support and training of their deployed missionaries. Working in partnership with LCMS congregations, RSOs and the Lutheran Church of Guatemala (ILG) a group met in Oviedo Florida in May 2018, to begin building a strategy and expand the work in Honduras. This FORO provides a vehicle for strategic planning and future evangelization, and supports Lutheran church planting and mercy work in Honduras. No LCMS missionaries are deployed to Honduras. However, working with the Lutheran Church in Guatemala (ILG) and other FORO members, we hope to establish more schools and education support programs in the future.